Howard Phillips Lovecraft fans should have a heyday with Dark Horse Comics’ new 5 part story cycle, Rat God. Conjured up in the darker corners of artist and writer Richard Corben imagination, the first issue introduces us to the collision of natives of the American North West and a native son of Arkham Massachusetts. HPL devotee’s will immediately recognize their old boy in the figure of Clark Elwood (do your homework). He’s a history maven, a bit of a xenophobe, and a proud descendant of Arkham founders who is skint enough to ask a hitchhiker for gas money. 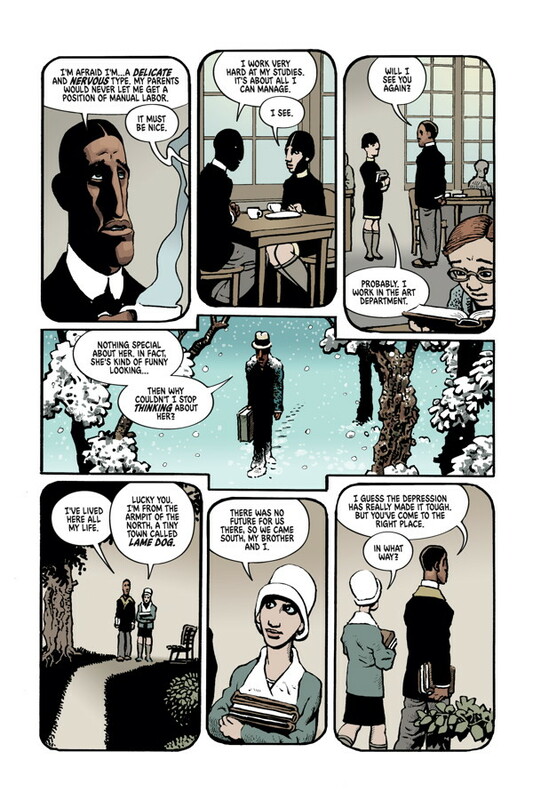 Set in the 1920’s, the tale of culture clash is set in motion when Elwood becomes enamored with a strange young lady he meets while studying at Miskatonic University. We seem to have encountered her as well, in the prehistoric prologue. Hmmm. His pursuit of her finds him in places and situations he could not have imagined. 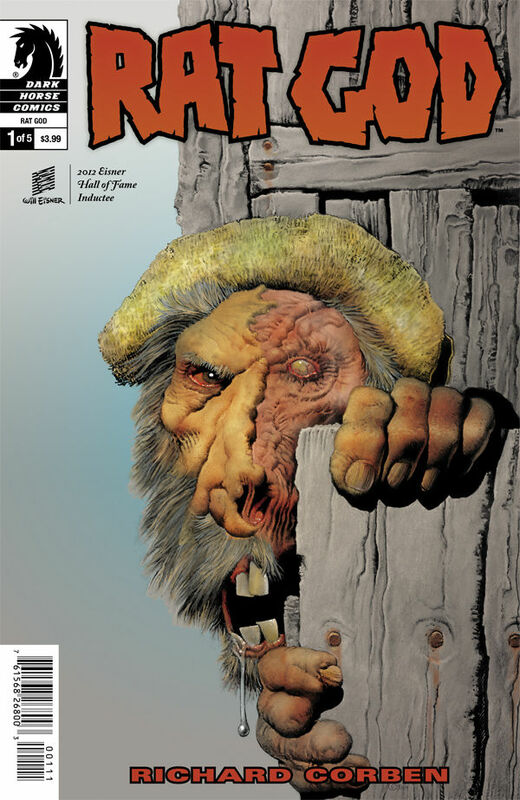 The premiere issue’s cover is a perfect example of Corben’s art with its three dimensional aspects and intriguing, misshapen characters. As you may know from reading other posts on this blog, I am a long time fan of Corben and have following his work as far back as the covers of Rockets Blast Comic Colletor and Heavy Metal Magazine. Dark Horse has anthologized many of his Warren Publishing Creepy and Eerie strips. It’s great fun to have a new story arc from the Eisner Hall of Fame inductee.